"Your best interests are my top priority." To help ensure best-in-class service, Matthew has an unwavering commitment to building long-term trusting relationships with his clients. Matthew will implement his wealth management process to endeavor to ensure you receive exceptional tailored investment advice and customized wealth management solutions to meet your needs as a high net worth individual. Matthew will help preserve and grow your wealth through his investment offering which focuses on selecting high quality value investments with strong accounting fundamentals, as well as the implementation of tax efficient and globally diversified portfolios. 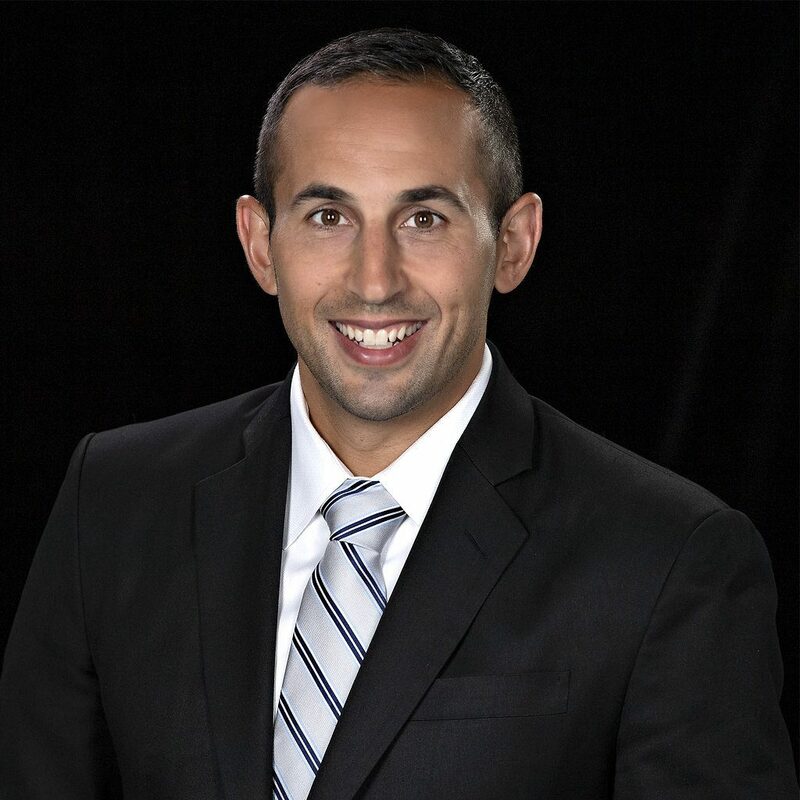 In order to properly align his clients' financial goals with their investment portfolio, Matthew believes in creating a customized wealth plan for each of his clients. These tailored plans focus on all areas of wealth management such as retirement analysis, tax efficiency, business succession, private corporations, trusts, charitable giving, estate planning strategies, and legacy building. Outside of the office, Matt loves spending time with his family. In his spare time, he is very active and enjoys various sports, particularly hockey, golf, and rock climbing. 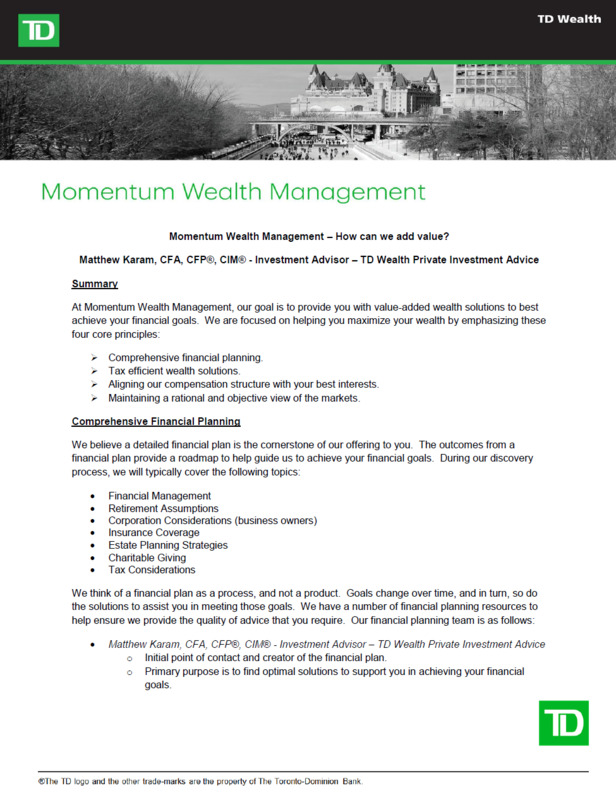 Momentum Wealth Management is a part of TD Wealth Private Investment Advice, a division of TD Waterhouse Canada Inc. which is a subsidiary of The Toronto-Dominion Bank. For more information about our team, visit Momentum Wealth Management. Momentum Wealth Management - How can we add value? Need help planning your finances? Here are a few helpful tips to find the right financial planner for you.